From Atlanta, drive north on I-85 to I-285 West. Exit #31A south on to Peachtree Industrial Blvd. (GA 141). The center of Chamblee is aprox. 1.5 miles from I-285. Cahmblee's Antique Row is mostly located off Peachtree Industrial Boulevard (GA 141) along Broad Street and Peachtree Road. 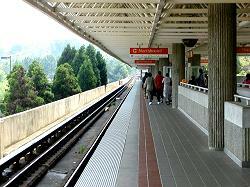 The MARTA rail station for Chamblee is located on Peach Tree Road between Chamblee Dunwoody Road and Chamblee Tucker Road. You can walk the short 6 blocks to Broad Street, or take a MATA bus.